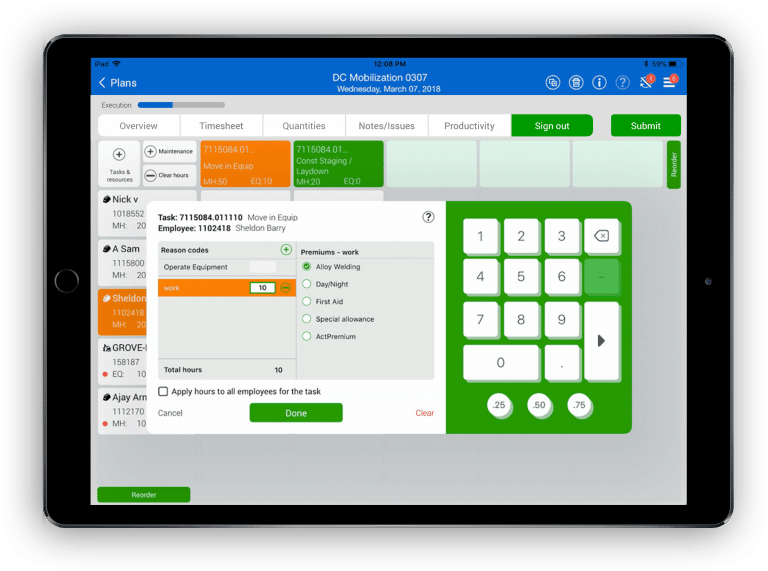 InEight® Progress provides a mobile solution that you can use to create and receive daily work plans, communicate plans to your crew and capture results at the end of the shift. It is the mobile complement to InEight Plan. InEight Progress serves as both a mobile daily planning tool, and a mobile time and quantity capture tool. It enables an open line of communication between the job site office and the field. It provides foremen with all the information they need to achieve performance goals safely, while meeting quality requirements. Information is made easily available right where the work is taking place – all from an iPad or tablet. The more time I spend doing paperwork the less time I spend with the crew. I need a way to quickly and accurately record the crew’s hours worked against the correct cost codes. I need an automated way to get field logs and photos back to the office to document things that happen during the shift - issues, potential change orders, employee situations. E-mails and phone calls just don’t cut it. My job is to free up the crew to focus on building the work. If I can publish the day’s goals out to the foreman along with a pre-filled timesheet that just needs final hours, we all avoid the distractions that kill our productivity. Change orders are part of the construction process. When doing research and assembling supporting documentation, I frequently wind up going back through old timecards and daily reports. The process would be ten times faster if it was digitized and searchable. To effectively manage subcontractors, we fill out a daily report on each one – how many people they had, the hours they worked and what got done. But doing that in Excel is error prone, and doesn’t really help us validate invoices when they come in. 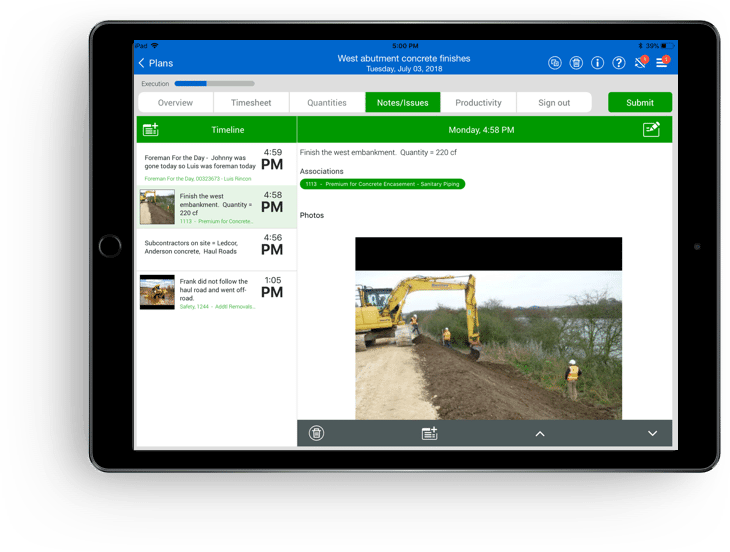 InEight Progress increases a foreman’s time in the field with the crew by simplifying and streamlining the daily planning process. 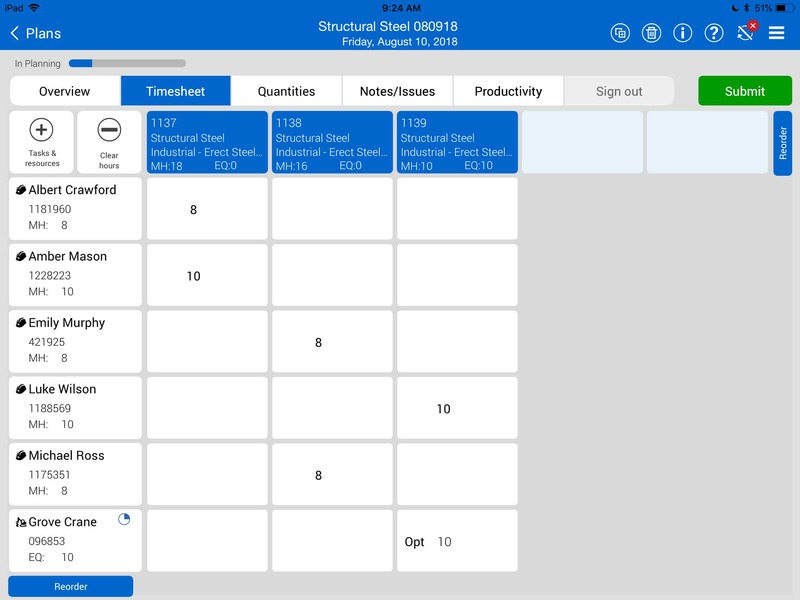 It allows you to specify the employees and equipment to be used by a crew during a shift, the work to be performed, and the quantities installed during a given shift. 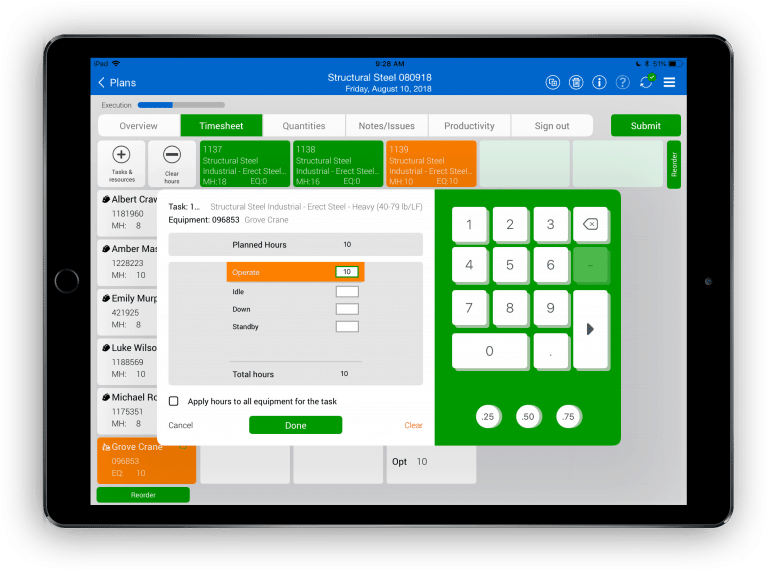 InEight Progress eliminates time-consuming paper-based and siloed processes for logging work. 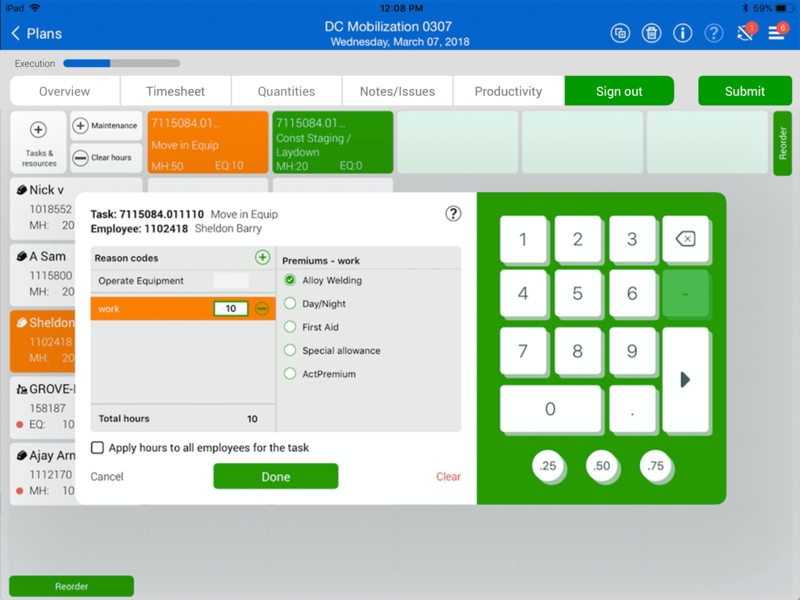 You can cut hours out of your day and increase accuracy by using InEight Progress on a mobile device to log hours for employees and equipment. 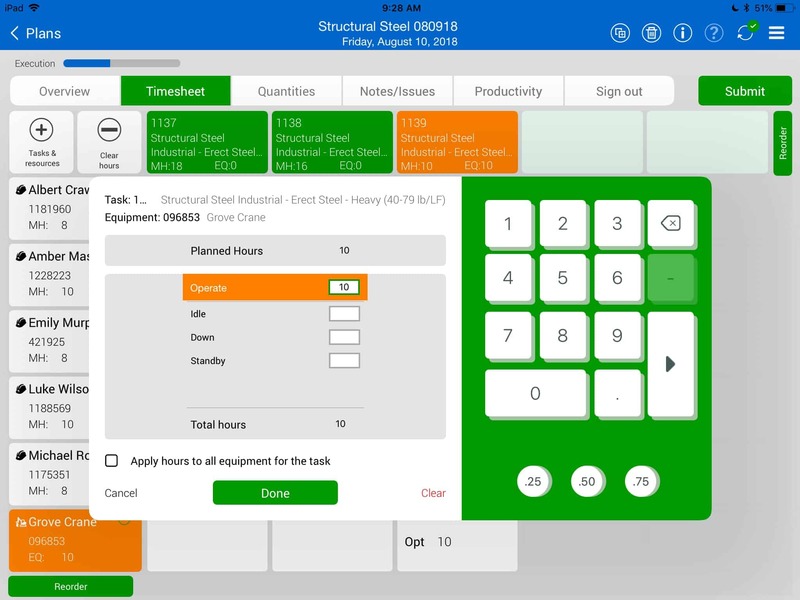 And, foreman can enter installed quantities to update completion status and calculate crew productivity. 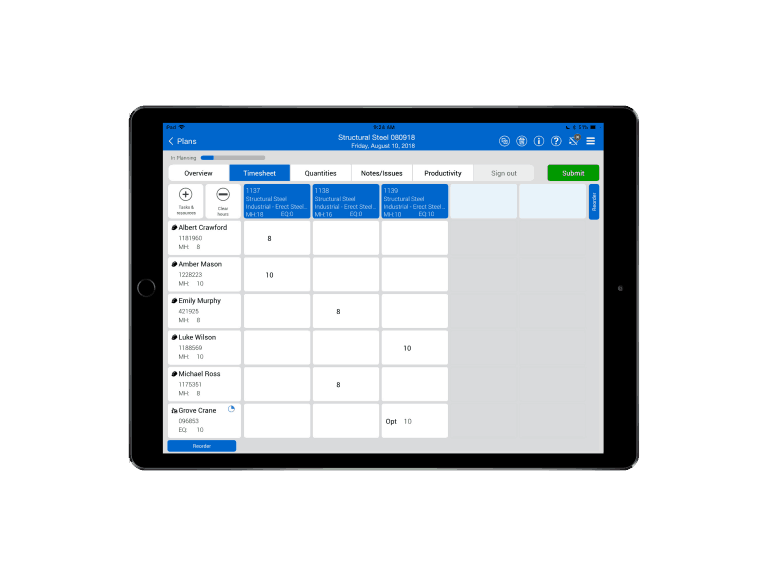 With our powerful mobile application, you can add notes, photographs and other event documentation to daily reports from a mobile device, quickly adding a new level of detail. InEight Progress lets you create a historical record of the job site and provide narrative that documents productivity and can be referenced in dispute management. InEight Progress allows foreman to specify which allowances and premiums are payable to ensure weekly paychecks are correct. This helps you to confidently meet union and contractual obligations beyond hourly pay for benefits and rates, such as per diem, offsite and premium pay. You can also link employees to equipment to validate pay rates with equipment use.